This was the first song written on the blue guitar, experimenting with alternate tunings. Em started to create his own chords and sounds from scratch, inspired by the blue guitar (based on our reading “The Man with the Blue Guitar” by Wallace Stevens). The poem became part of the inspiration during that “blue” period that helped to turn things around for us. Em was perhaps at his most desperate point. In order to rediscover his creative self and freedom he felt he lost along the way, he was considering the painful option of ending existing relationships and leaving home. This song represented a real turning point where he realized that the happiness had to be discovered inside himself rather than somewhere outside. 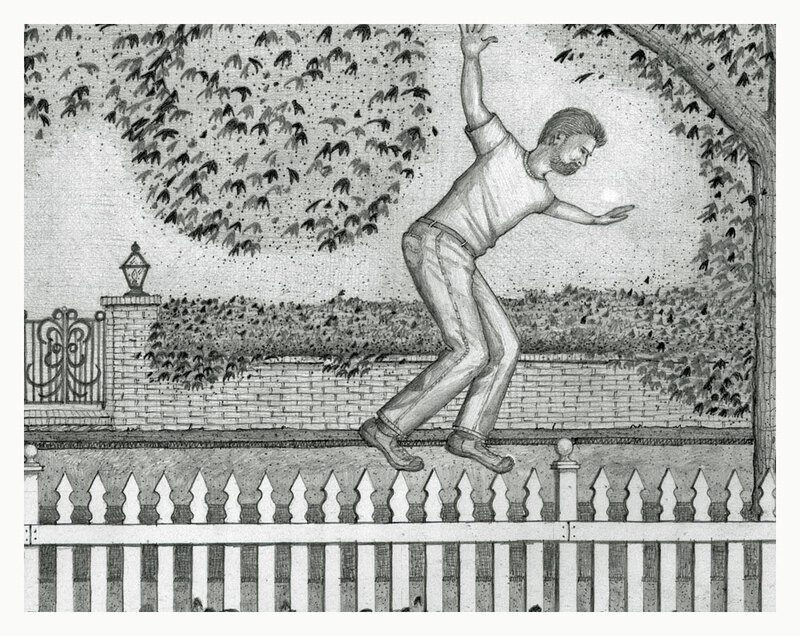 He used the ideas of the porch, home, freedom and the picket fence to re-imagine himself in a new way.